LEAVE A REVIEW ON AMAZON TO WIN! 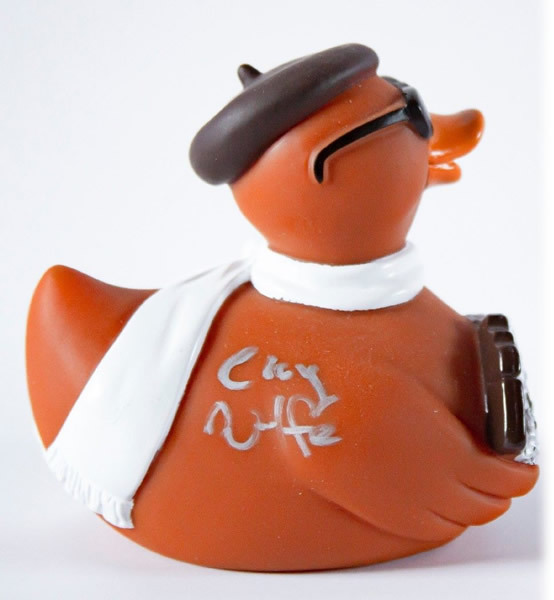 – We are having Another Duck Race! We are doing it again! 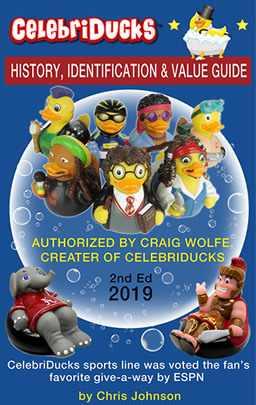 Our first rubber ducky race was won by Donna Eads, owner of Scout’s Meadow Natural Soaps, she won a prototype “Pond Bombshell for her review on the Amazon, paperback edition. 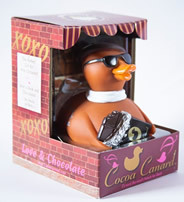 Because reviews are so important, and help us throughout the Amazon market place, we are going to give away another RARE, signed first edition Cocoa Canard Rubber duck. 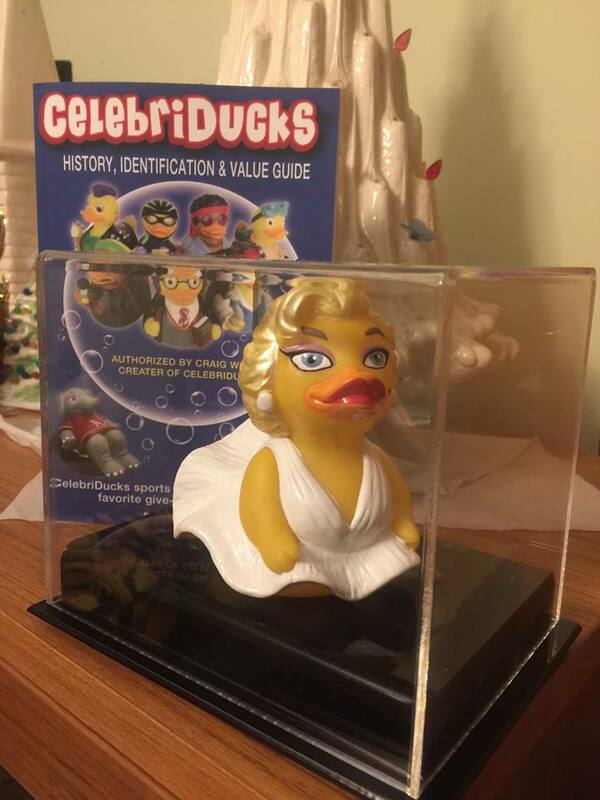 This is a first edition, MIB from the private pond of Craig Wolfe, creator of CelebriDucks. 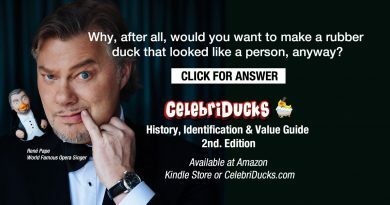 To win, we would like to know what you think about the CelebriDucks History, Identification and Value Guide 2019. Those that have read it, we are asking to please leave your review on Amazon, and tell us what you think. 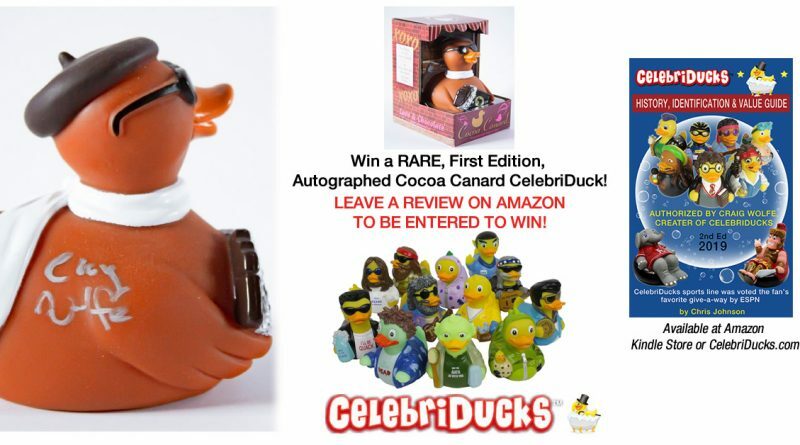 As an incentive, win a RARE autographed CelebriDuck. We are giving away it away to the best review for the Paperbacks or Kindle Version of the book. One lucky winner will be selected from reviews that are submitted by December 31, 2018. On your mark, get set, go. 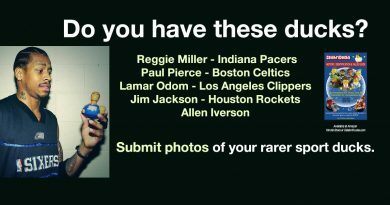 The race is on, leave a review to be entered to win! We will announce the lucky winner on our Facebook page so, be sure to monitor it for the announcement. 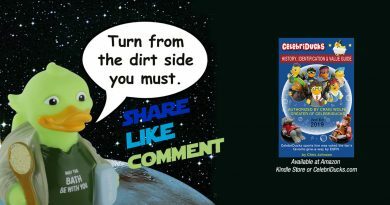 How To Leave Your Review And Be Entered To Win – Click on one of the links below for the book version you wish to review.